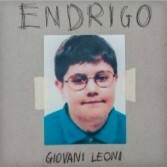 Endrigo are four friends of Brescia who in 2012 steal a name ready and start playing. Since then many dates and two EP "Spara" (2013) and "Buona Tempesta" (2015), before arriving, in March 2017, a record, "Broken Bones, Red Eyes" (Indiebox Music), produced by Jacopo Gigliotti of Fast Animals and Slow Kids and Andrea Marmorini (Woodworm Label, La quiete). And above all more than a hundred live throughout Italy to present it, on important stages and tiny stages, sometimes in the company of Fask, Zen Circus, The Theater of Horrors, Giorgio Canali, Edda .Giovani Leoni is the second work in the study of band bresciana is a little jewel of italian rock with distorted guitars, powerful riffs, charged battery. A straight rock record, immediate and powerful accompanied by texts that go straight to the point, which tell with the right irony the malaise of ordinary everyday life.